UPDATE: Barron County Sheriff Chris Fitzgerald says that the male subject that was extricated from the corn bin yesterday has passed away. 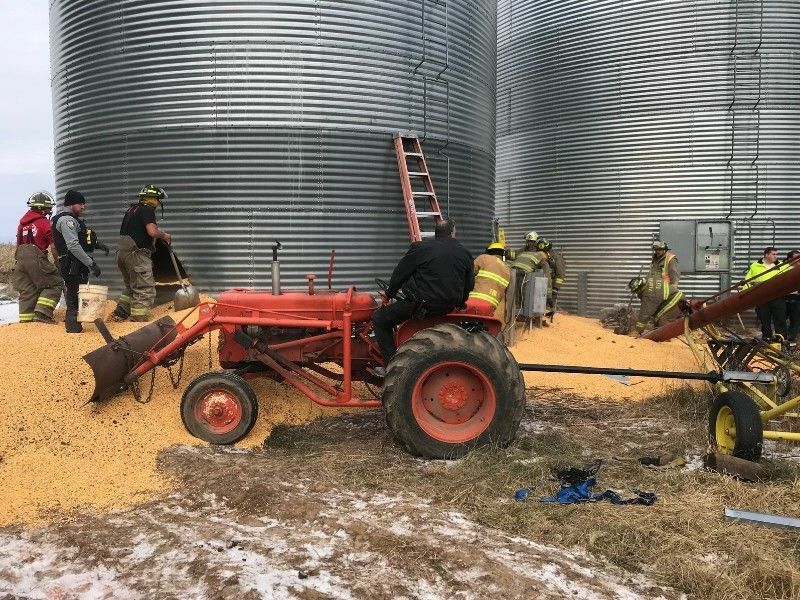 BARRON COUNTY -- One person is facing life-threatening injuries after emergency responders worked for over an hour to rescue the trapped person from a corn bin just South of Turtle Lake, according to a press release from the Barron County Sheriff's Office. (Press Release) -- On November 21st, 2018 at 12:22pm, the Barron County Sheriff’s Department received a 911 call of a subject trapped in corn bin south of Turtle Lake. Deputies from the Barron County Sheriff’s Department along with the Turtle Lake, Cumberland and Dallas Fire Departments, Gold Cross Ambulance, Turtle Lake Police Department and Life Link Helicopter all responded to the scene. Responders worked for over an hour to rescue the man, who was then flown to a regional trauma center and has life threatening injures. This case remains under investigation by the Sheriff’s Department. The effort put forth by the family and first responders in this case was truly amazing and our prayers are with the family.